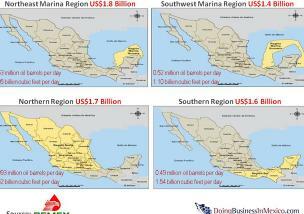 PEMEX announced yesterday a planned investment of 3 billion U.S. Dollars for the expansion of the oil refinery located in Salamanca, Guanajuato in the central of Mexico. The new refurnished facility intended to start operations in the year 2014 is presented as supplementary to the new refinery to be built in Tula. PEMEX has announced that the 10 billion U.S. Dollars refinery will be constructed in the town of Tula in the central state of Hidalgo. It is estimated that its full construction will take from 6 to 7 years. The Mexican Senate confirmed the designation of four new members (independent professional commissioners) of PEMEX board of directors. The state owned company Committee of Transparency and Accountability will be lead by one of the four commissioners posted. PEMEX estimates 2.75 million barrels per day crude oil production for 2009. After years of constant declining, the 2009 target measures up to the 2008 (2.79 mbd) reported production. PEMEX officials argue that the output of Ku-Maloob-Zaap and Chicontepec fields will cover Cantarell´s constant decline. PEMEX officials recognize the existence of a huge oil reserve in Chicontepec; a petroleum system located between the states of Puebla, Hidalgo and Veracruz. Still, they argue that the characteristics of the area make massive production unviable at this time. 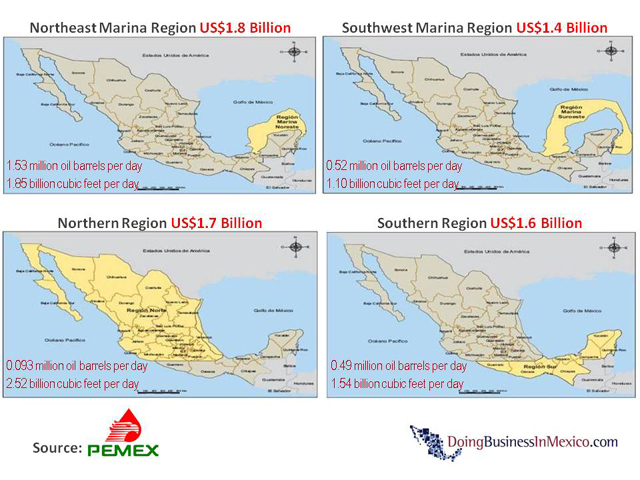 PEMEX has invested $6.5 billion U.S. Dollars in the first semester of 2009. This figure represents 1/3 of the total investment plan for 2009 which was originally calculated in $19.4 billion U.S. Dollars. It includes Campeche Oriente, Cantarell, Ek-Balam and Ku-Maloob-Zaap.